Picture 1. 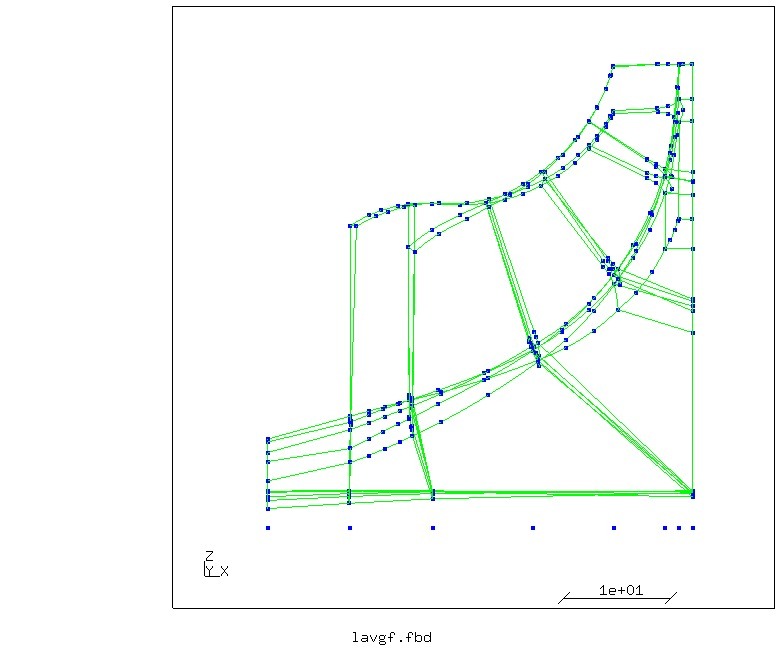 Wireframe of a section of the compressor. The outer diameter is 87 mm. Picture 2. Deformation due to 110000/min of rotational speed. The amplification factor is set to 20. Picture 3. Von Mises stress due to 110000/min rotational speed. Plastification is considered. 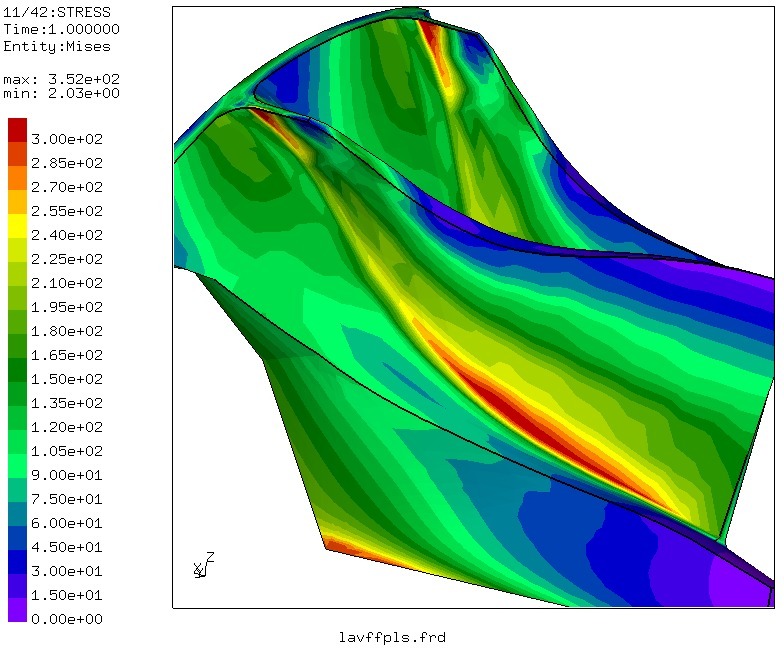 The peak stress in the bore is with 310 MPa slightly above yield stress. With that value crack-initiation will probably occur after 2000 start-stop cycles. 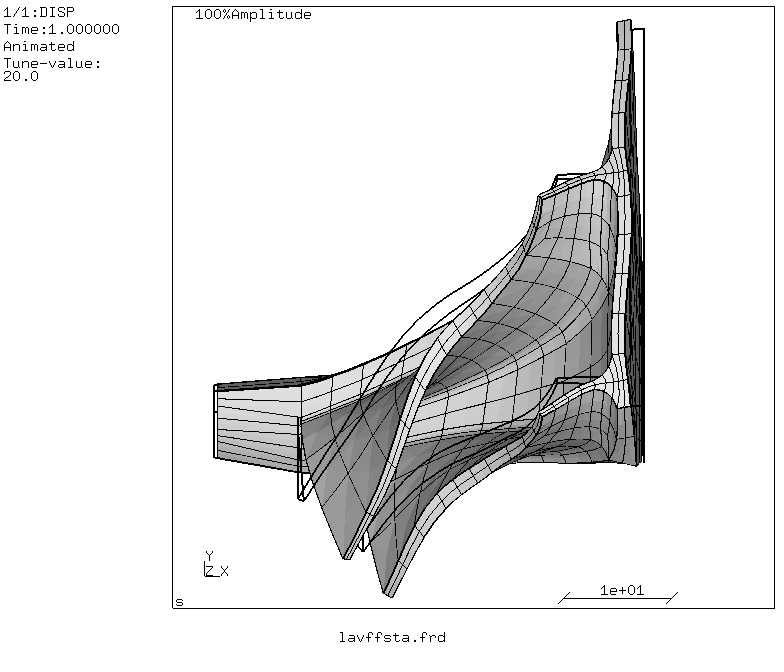 The values along the blade-root are uncertain because the fillet-radius is not modeled. Picture 4. Increase in diameter vs. rotational speed. Burst will occur at about 170000/min. 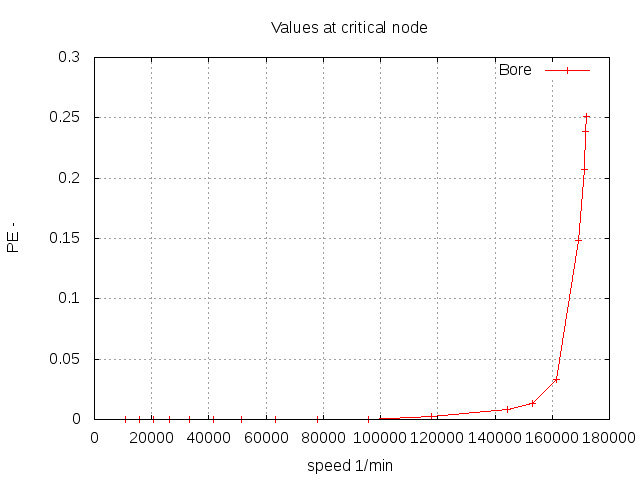 This is equivalent to a tip-speed of 775 m/s. Picture 5. 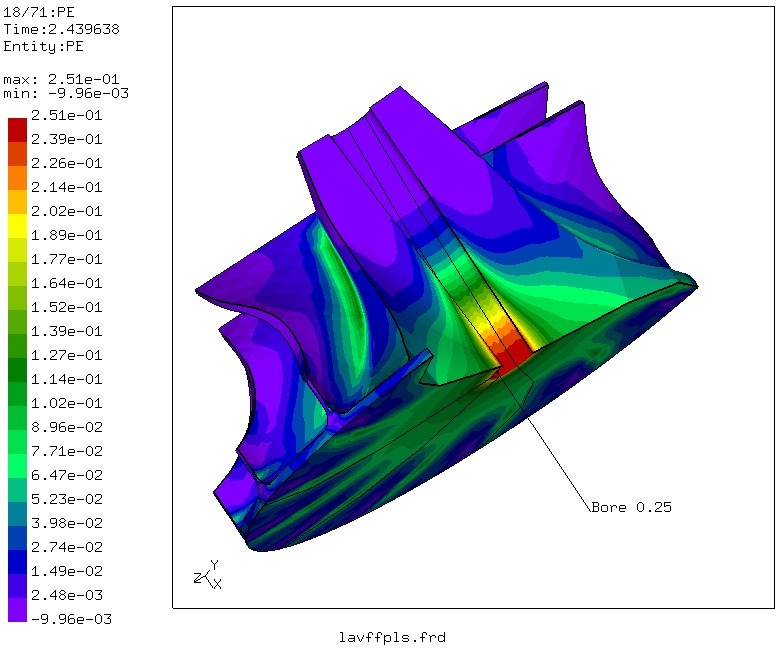 Equivalent plastification at the last converging time-step of the burst calculation at about 169000/min. Picture 6. 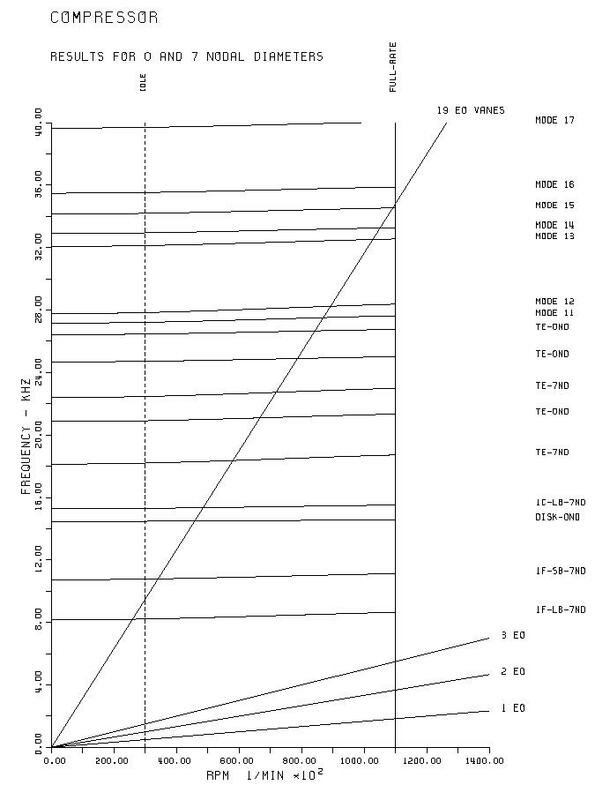 Frequency diagram of the compressor-blades. Resonances with the vanes can not be avoided. Picture 7. Eigenmode stimulated by the 19 vanes close to full speed. For this calculation the cyclic symmetry capabillity of CalculiX was used.